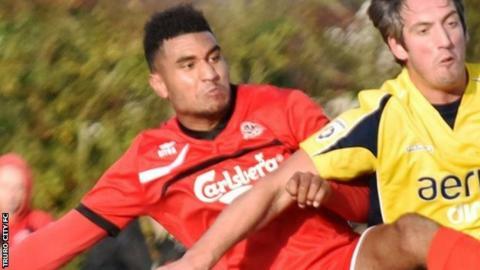 Truro boss Steve Tully was pleased with his side's second-half fightback as they drew 2-2 with Gosport Borough. Jamie Richards gave City an early lead, only for Gosport to equalise soon after before Exeter City loanee Jamie Reid got the second after 18 minutes. But Rowan Vine's equaliser right on half time saw both sides get a point. "I was delighted by the way we played in the second half, I thought there was only one team that was going to win it, and that was us," Tully said. The draw leaves Truro in 14th place in National Two South after a run of seven games without defeat. "I've come off the pitch and I'm really pleased that we're becoming a fitter and stronger team," Tully added to BBC Radio Cornwall. "If we keep playing like that not many teams will live with us. "Overall I'm delighted with the response and I think it's a point gained rather than two points dropped."